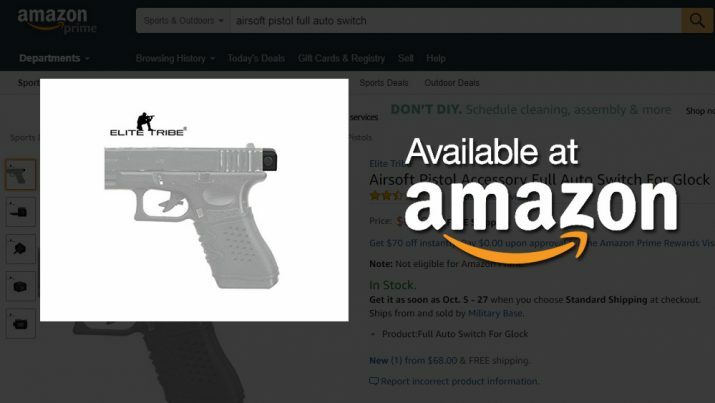 The reason we know this device is being deliberately allowed on Amazon.com as part of an ATF sting operation is because pistols, rifles and suppressors never just “accidentally” show up on Amazon.com. 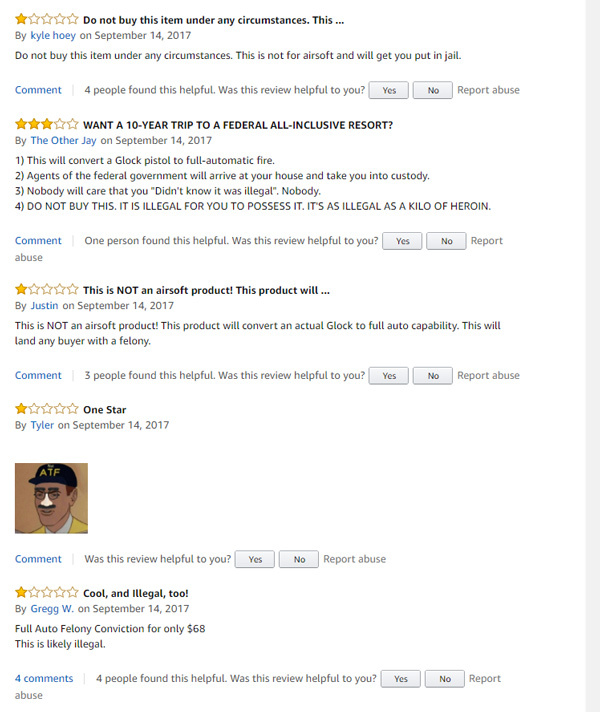 Amazon polices its online marketplace to make sure such items never appear, yet this highly illegal full auto conversion device has been allowed to stay online for nearly a full day as of this writing. 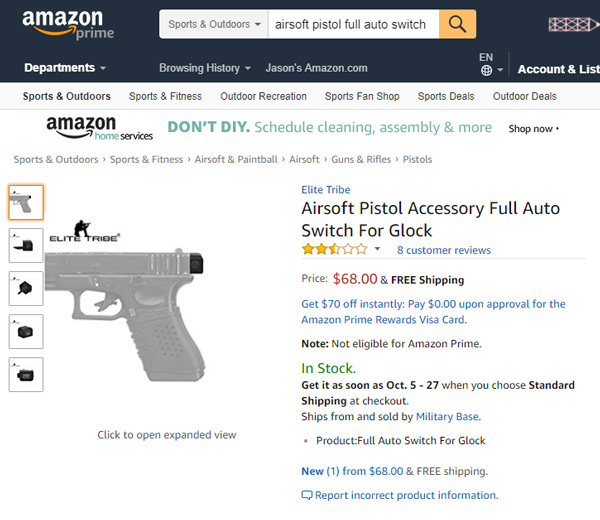 Here’s an even bigger question: If the Amazon.com description of this device is intentionally misleading — this one claims to be for an “Airsoft” Glock, not a real Glock — then isn’t Amazon itself complicit in the commission of the crime if someone purchases this product based on the misleading description?